What better excuse is there to drink margaritas at 2 in the afternoon than a giant plate of nachos? It is a great way to spend an afternoon, bring friends. 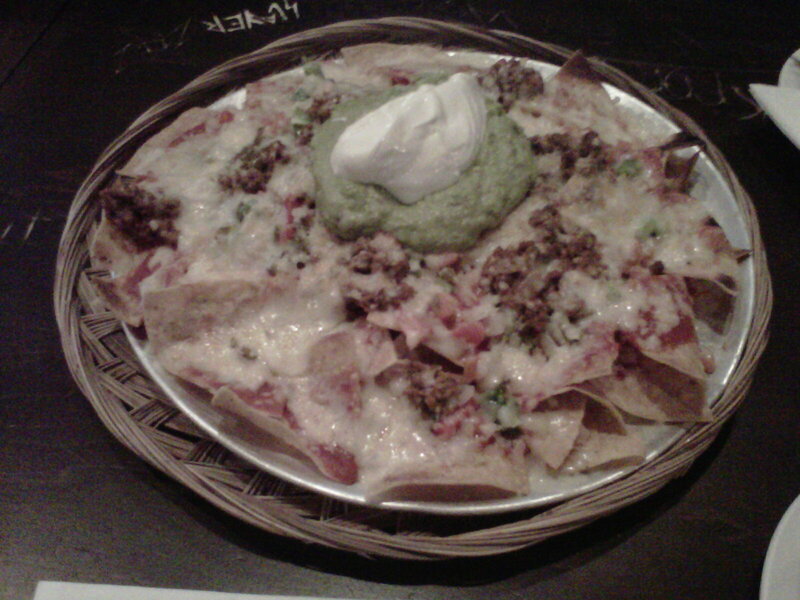 The best nachos in Toronto are hefty to say the least. Sneaky Dee’s plate of nachos, truly lives up to its name: King’s Crown. I knew the plate was going to be huge, I just did not imagine how huge. The trouble is that the guacamole and sour cream are planted dead centre, so the chips around the edge you have to go to the trouble of dipping, whereas the ones in the middle are soggy from being underneath. At first I wondered why we were given forks. 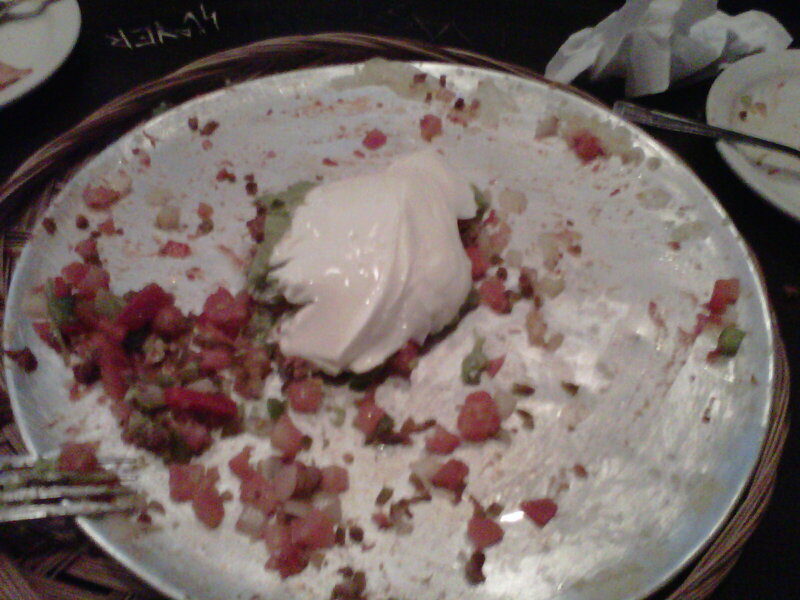 It made a lot more sense towards the middle when it was just a giant mess of beef, cheese, guacamole, tomatoes, and sour cream. I must say, this has been one of the most fun dishes to eat. It’s a horrible mess and bits of it will end up on your face, hands, pants, plate and pretty much all over the table. And what you’re left with at the end is a giant pile of sour cream. It’s that time of year again when the restaurants roll out the prix fixe menus and the hungry hoards descend. I was adamant about eating out somewhere this year for Winterlicious. I had my eye on Sassafraz in particular. One of the most popular and famous restaurants in the city, having had many now-famous chefs pass through the kitchen (as I learned in doing research during my summer internship)- I was hellbent on eating there one day. And Winterlicious made it that much easier. What’s not to love about it? A 3 course meal at a fancy restaurant for a cheaper price? Plus we had the best seats in the restaurant in a nice cozy corner. 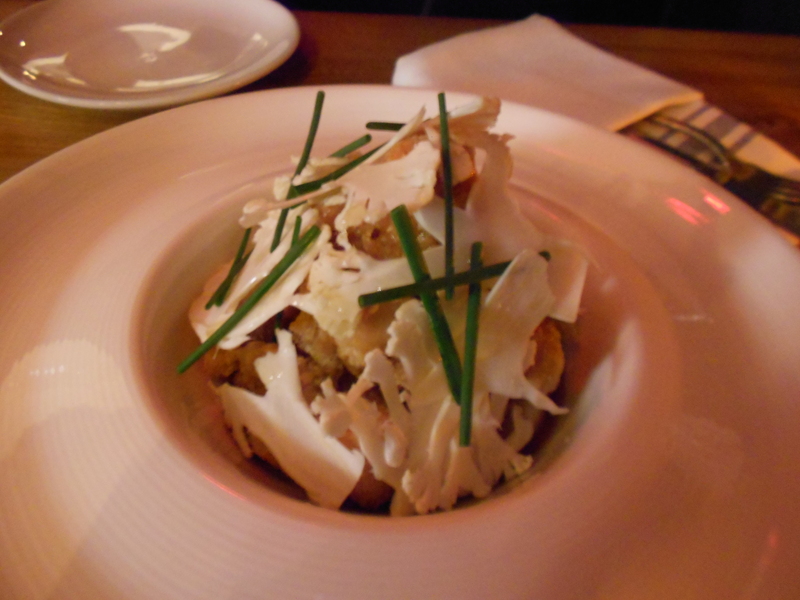 We did look over the regular menu, but the items on Winterlicious were so tempting. There was quite a bit of debate but eventually we figured it out. To start I had the red-wine braised octopus with tomaotes and Brent had the cauliflower and brussel sprouts. There was no way we were going to trade dishes halfway through. I did eventually cave and eat a brussel sprout and a piece of cauliflower. And my compliments to the chef, I actually enjoyed both- another first for me. What made it good was the sauce and the addition of curry. I even ate the tomatoes on my octopus. The mains we did swap halfway through. The sirloin steak surprisingly beat out the duck leg confit, but it was pretty close. The duck meat was just falling off the bone and so succulent. Dessert was a chocolate cake with marshmallow fluff, of which Brent ate none, having not realized it was there. Ha. And apple compote with oat crumbs and a scoop of maple ice cream. Hands-down the winner of the night. The apple pieces were so soft and still warm, a nice contrast to the cold ice cream and the crunchy oats. And it’s not Winterlicious if you don’t order the special menu drink. I had the Evergreen which was gin, elderberry liquer, apple juice and ginger ale. This is one I am going to have to remember and make from now on. After staying late at work, giving up my good post down near the courtside, heading up to the nosebleeds section, I was kind of sort of dreading the long walk home. But then Brent fixed all that. 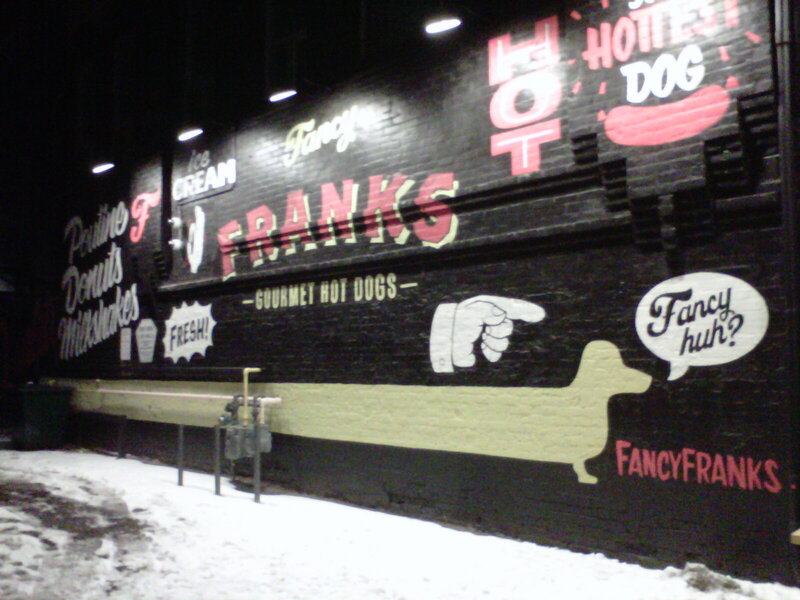 In his post-drunk semi-tipsy haze he suggested we stop at Fancy Frank’s – a place we had been eyeing for weeks- and get a little late-night bite to eat. The combination of having had half a bagel for dinner and my love of hotdogs led to much cheering and celebrating. We got there at about 11pm and it was pretty busy. 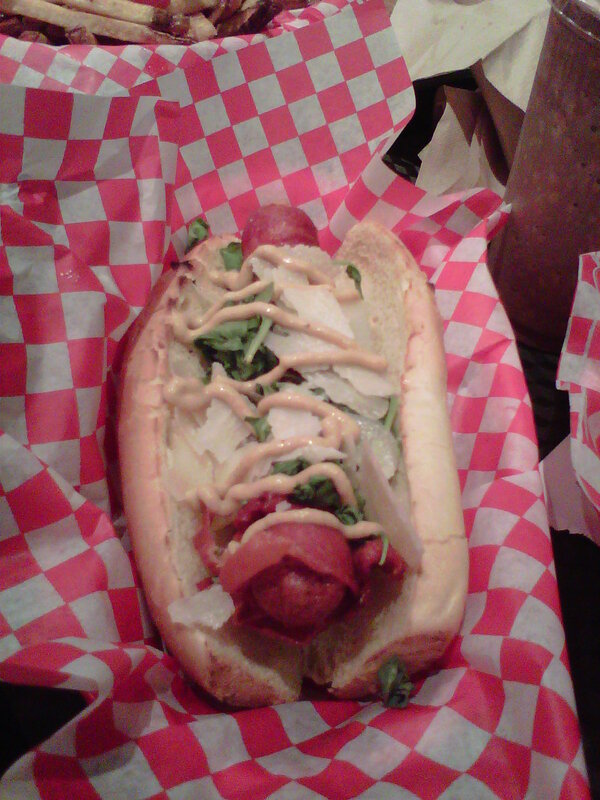 I guess hotdogs, even fancy ones, are the go-to nighttime eats? The menu is written in chalk and completely overwhelming. There are so many fancy options to choose from! After much staring and contemplating I decided on the funnily named, Franko Fancy-Aano. The arugula is what really made it delicious. The fact that it was wrapped in prosciutto made me feel fancy and like a pig at the same time. 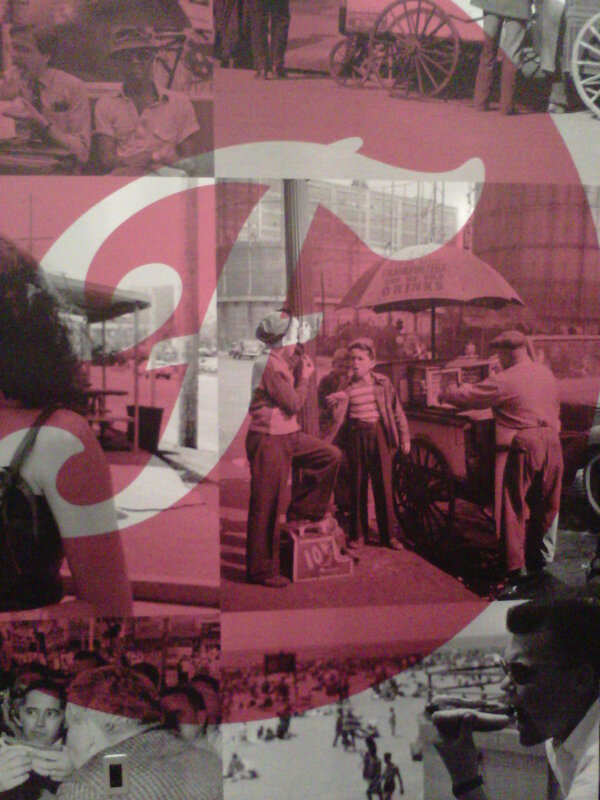 It was great, brought back memories of the bacon-wrapped deep-fried hotdog I had at the CNE. The only problem was: the cheese was not melted!!!! 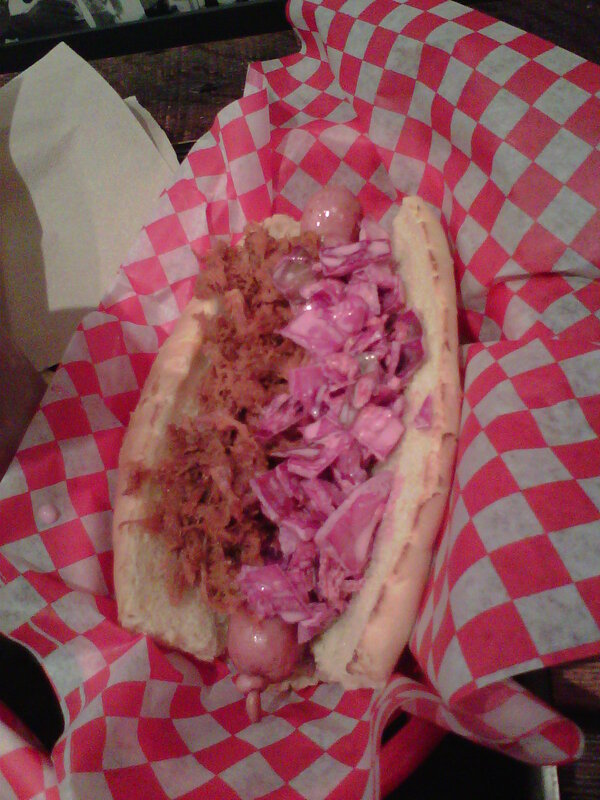 Brent had the Southern Fancy, with pulled pork and coleslaw. It was ok, but I’ve had better pulled pork. For some reason Brent had decided to order fries AND a chocolate milkshake as well, making for total overkill. The fries were good, as can be expected with fries. And I guess I just don’t like milkshakes. I’d rather just have ice cream. I thought that tonight I officially entered zombiehood, namely ingesting brains. What?! Oh good God what?! you may be asking yourselves. Before you panic, I should clarify: animal brains. Not fully zombie, but still close enough to count. Dreams dashed. 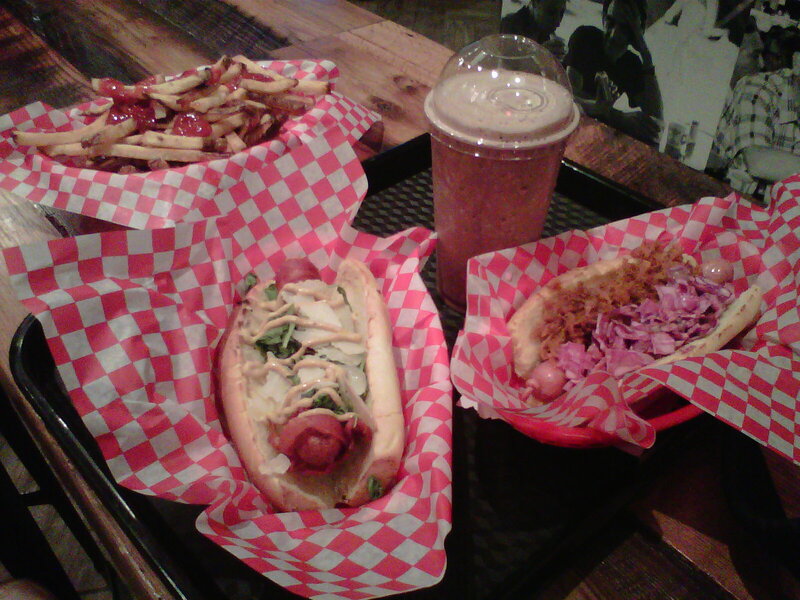 For a nice Friday night dinner we went to Hopgood’s Foodliner, best restaurant of 2012, for good east coast food. 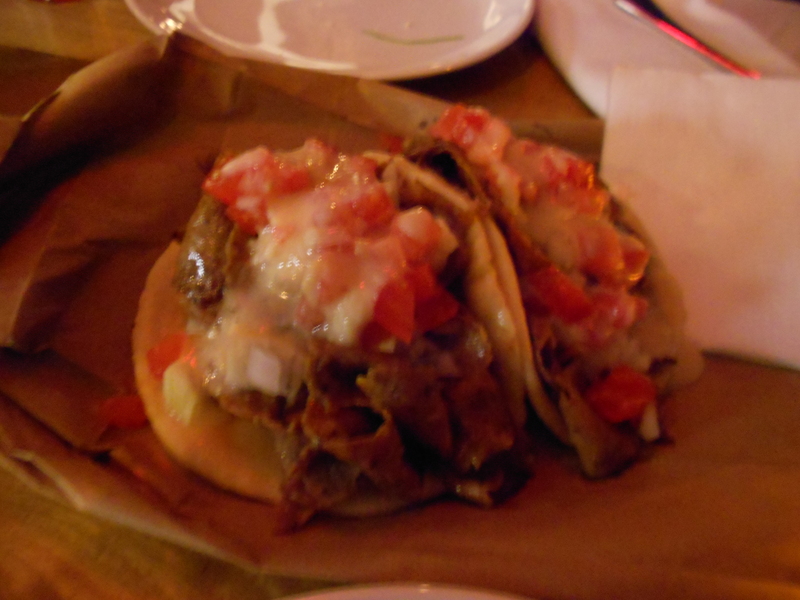 It was almost immediately decided beforehand that we had to order the donairs (due to rave reviews) and a seafood dish (this being east coast fare after all). When we arrived our waiter informed us that the dishes are rather small and moreso meant for sharing. Up for a challenge we decided to expand our order. 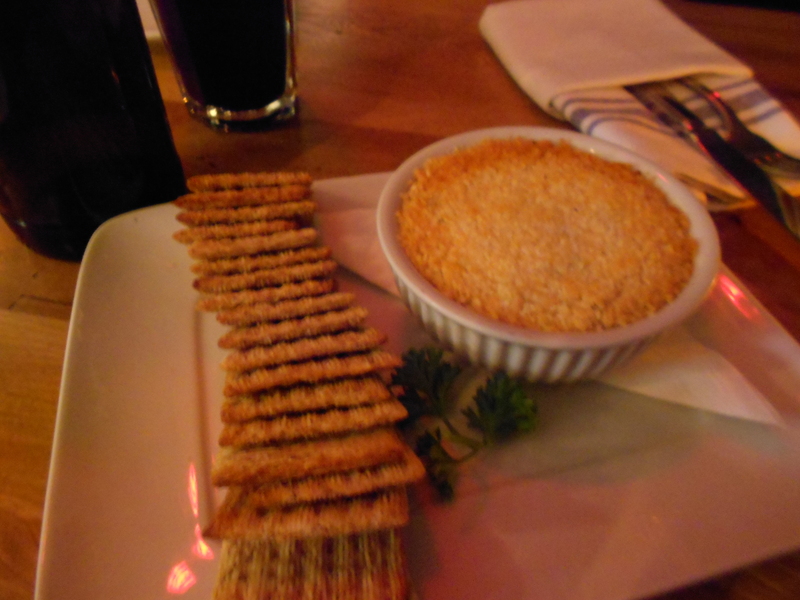 We started with the crab & lobster dip with Triscuits, so fancy. It was really good, much fancier than the Triscuits would lead on. Up next was my daring pick: sweetbreads with cauliflower and truffle sauce. I am not a fan of cauliflower, it smells bad. As far as I knew, sweetbreads was a dish consisting of animal brains. (NOTE: it is in fact not brains, hence the dashed zombie dreams, it is the thymus, pancreas or various other glands from cows and lambs). Brent had less than high hopes for this dish, as he explained to me later. After we devoured it, pausing to look wide-eyed at each other. It was amazing. Honest to God, Hopgood’s take on sweetbreads is easily one of the best dishes I have EVER had. EVER. It is up there with the salmon and jellyfish dishes at Guu, Barberian’s steak, and Ici Bistro’s chicken. It was so unbelievably good. The cauliflower was under the sweetbreads in the form of a puree that added a subtle hint flavour, the sweetbreads were deep-fried and crispy, drizzled with a delicious truffle sauce and lastly covered with thin slivers of cauliflower and tiny stalks of green onion. I normally hate cauliflower and green onions. Somehow, these two were magically transformed and melded with animal glands into an epic culinary masterpiece. I tip my hat to the chef. 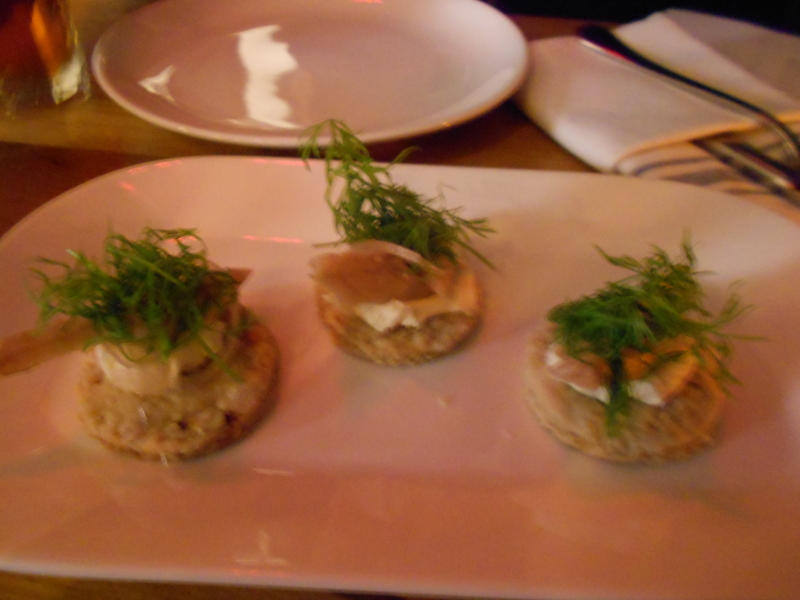 The sweetbreads were a tough act to follow and the smoked mackerel on oatcakes did not live up to it. Not by a long shot. It was an OK dish but not nearly as good as the sweetbreads, the bar had been raised. None of the subsequent dishes we had lived up to the sweetbreads. The donairs did come really close. They were indeed delicious and amazing. With every bite there was a squirt of hot oil & juice from the meat. I kept losing my tomatoes with every bite, which in this case (there is a first for everything) was a bad thing! Shocking, I know. For dessert we split the toffee. I just really really really wanted to untie and unwrap it. 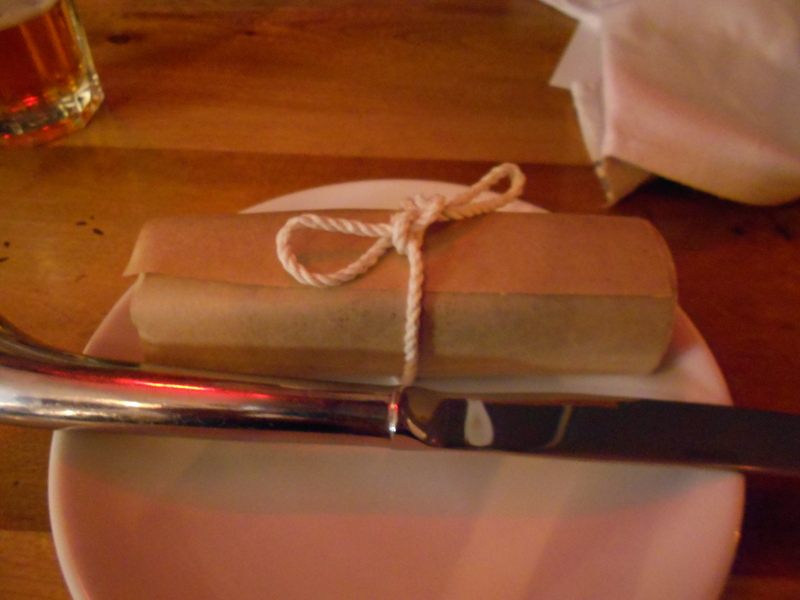 I had seen photos of it, wrapped in brown craft paper, tied with string. It was too fun to pass up. That, and it sounded tasty. 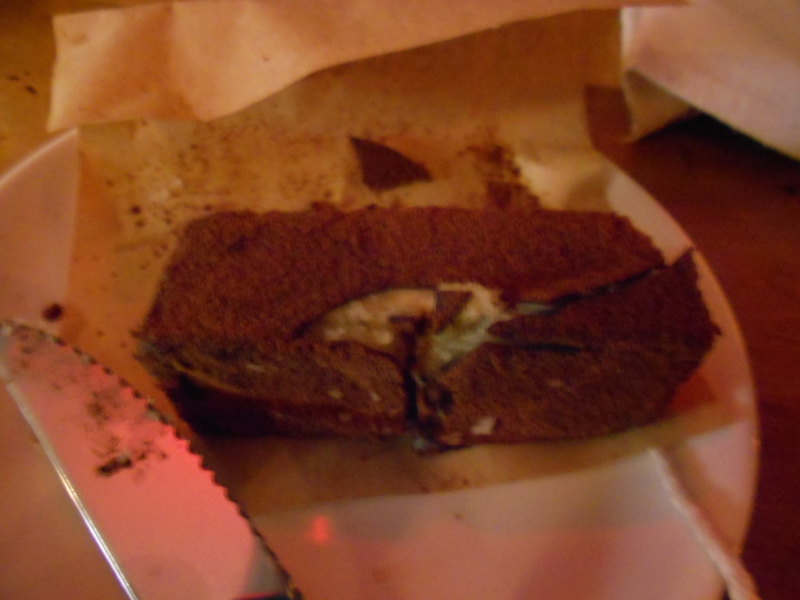 I bit into it and was rather taken aback, somehow (looking back, it is obvious) I had not expected it to be so hard. Apparently I forgot about the intrinsic properties of toffee. It was delicious, but rather hard to bite. I should have ordered a coffee or hot chocolate to dip it in. I could not sleep all of last night, for many reasons, one of which was the epic (at least in my mind) failure that my brownies were. I wanted giant bites of chocolate and marshmallow! And dense, not fluffy! Back to the drawing board. I did a little research and some thinking. 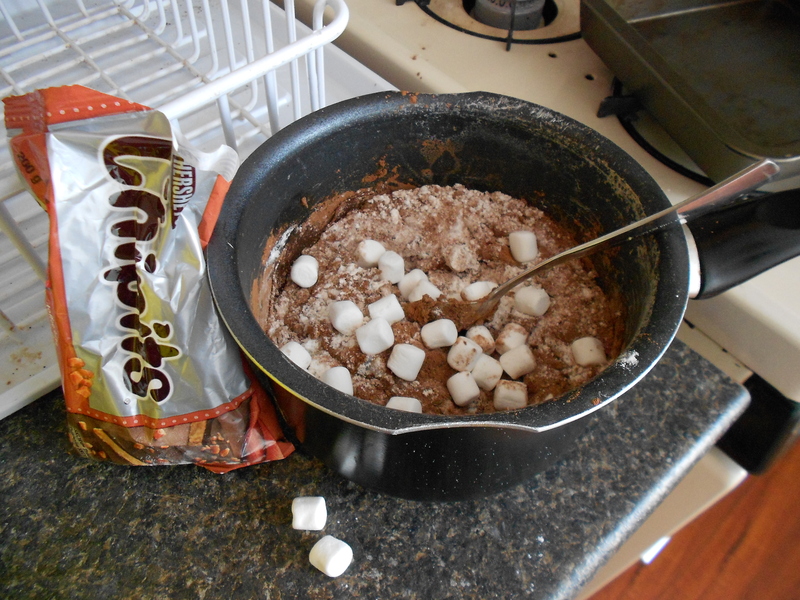 I thought maybe I could freeze the marshmallows over night and then toss them in at a later stage in the baking. 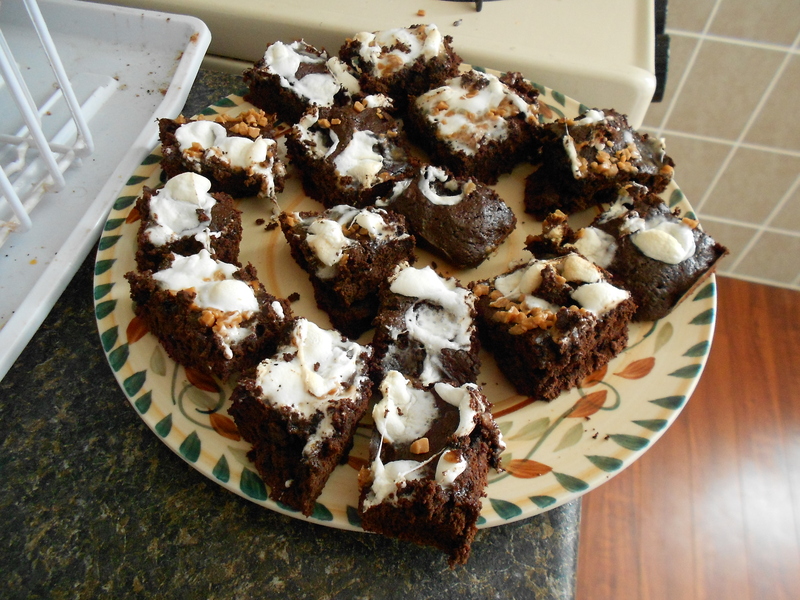 I double-checked with some recipes for rocky-road brownies. Indeed, they all said to throw them in 5 minutes before done baking. 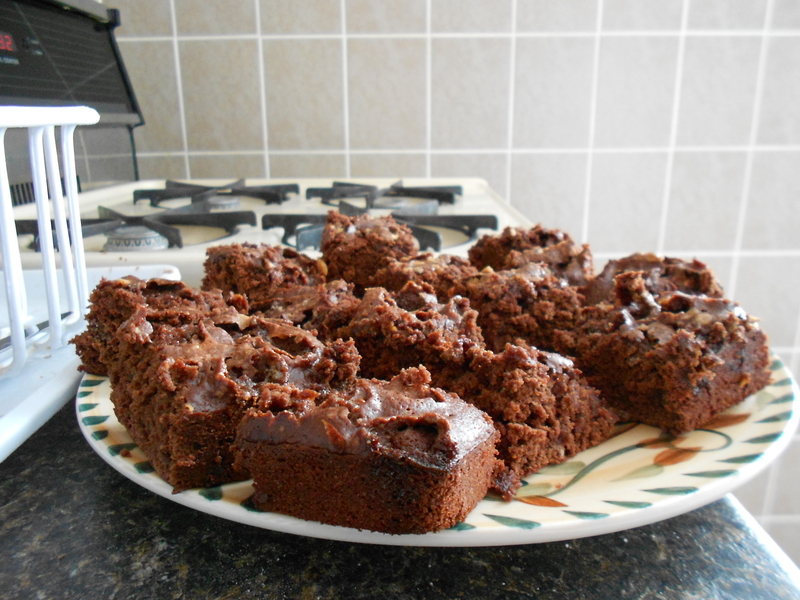 But, I wanted them to really adhere to the brownies. 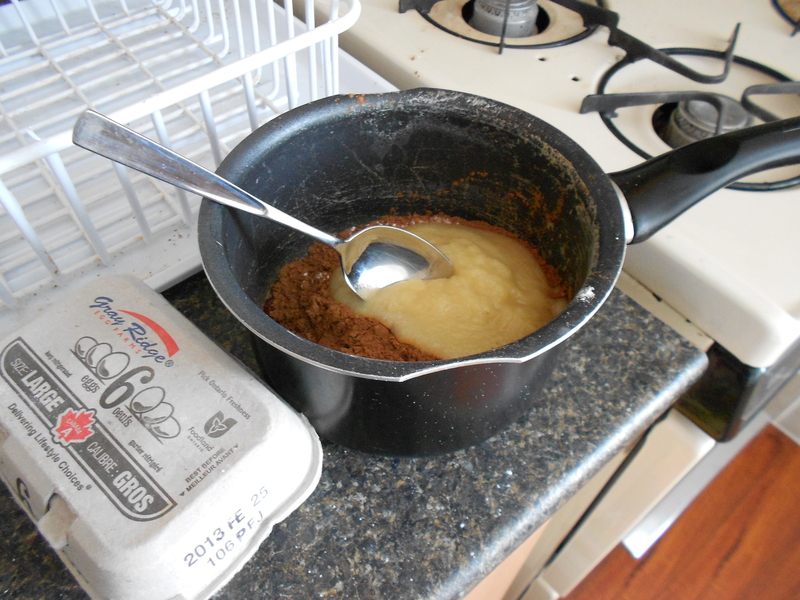 The plan was to only replace half the butter, not all of it, with applesauce this time (making them less fluffy, I give up, apple sauce is only a butter substitute in cakes). And throw in the marshmallows when there were 10 minutes left so that they would still sort of sink in. That was the plan anyways. My brownies had a different plan. When I took them out of the oven, the top was already cooked! 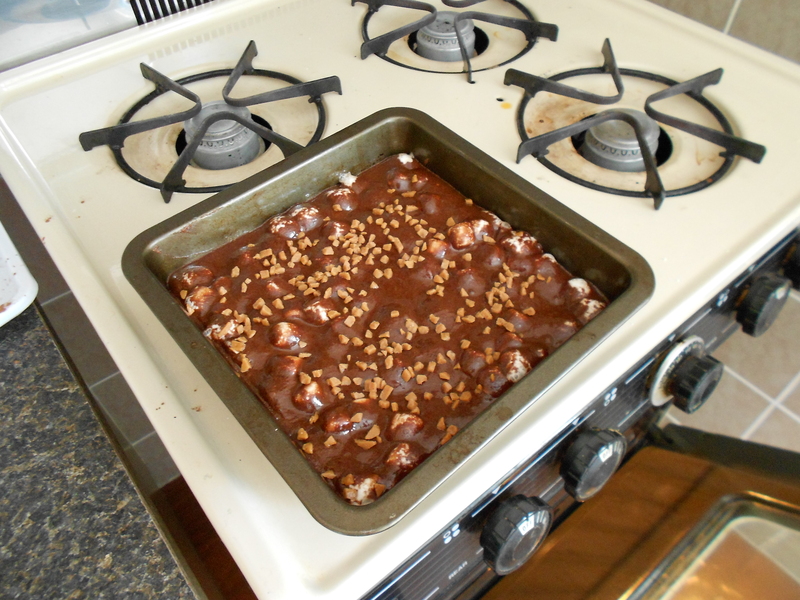 The marshmallows and Skor bits (nope, did not use them all up, they STILL haunt my baking drawer) just sat there on top. So I started pushing them into the cake top, but I gave up. 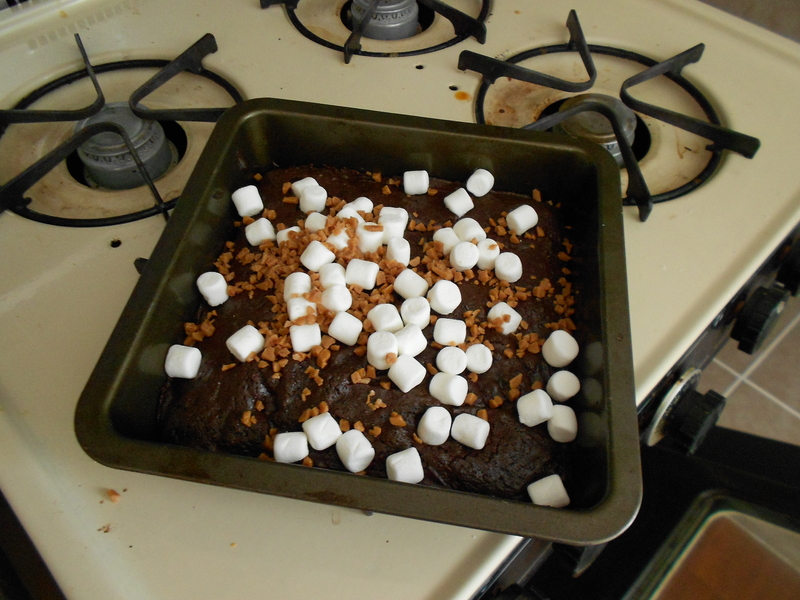 When I took them out of the oven, the brownies had a giant marshmallow blanket on top. Stupidly, I tried to cut into them almost immediately. Bad idea. The marshmallows were still soft and making it impossible to cut. 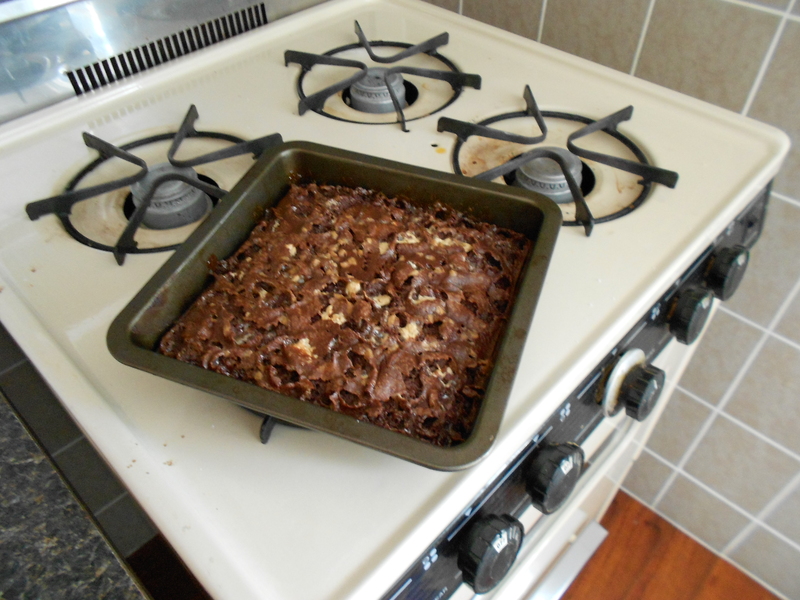 I had an idea for some really delicious brownies (and a way to use up the extra Skor bits). I would throw in some marshmallows as well, for good measure of course. Working from a basic brownie recipe I tossed in handful after handful of marshmallows, occasionally eating a handful myself. I had high hopes for these brownies, having learned long ago to not mix in the Skor bits (they just melt) and to instead toss them on top during the baking process. Somehow this thought did not extend to marshmallows (more easily associated with melting I might add). What came out of the oven looked like a horrid mess. 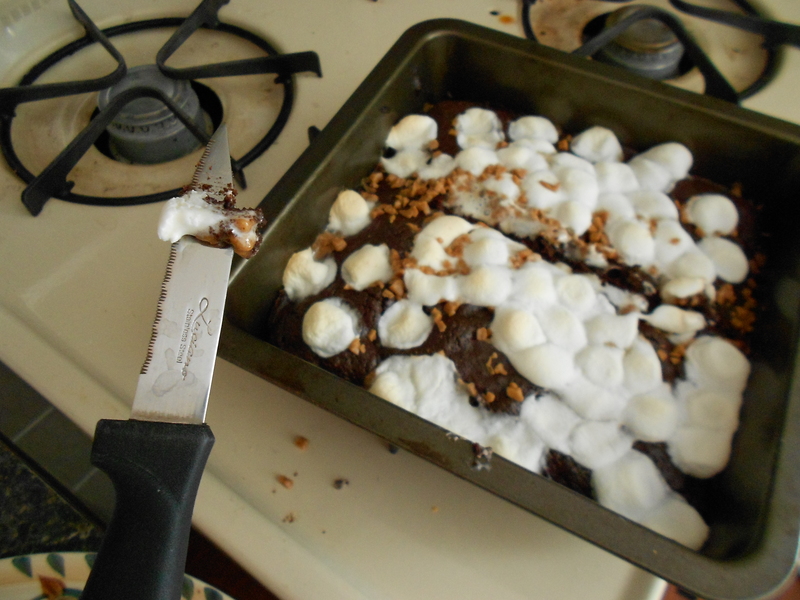 It was hard to cut as the melted marshmallows made everything sticky. 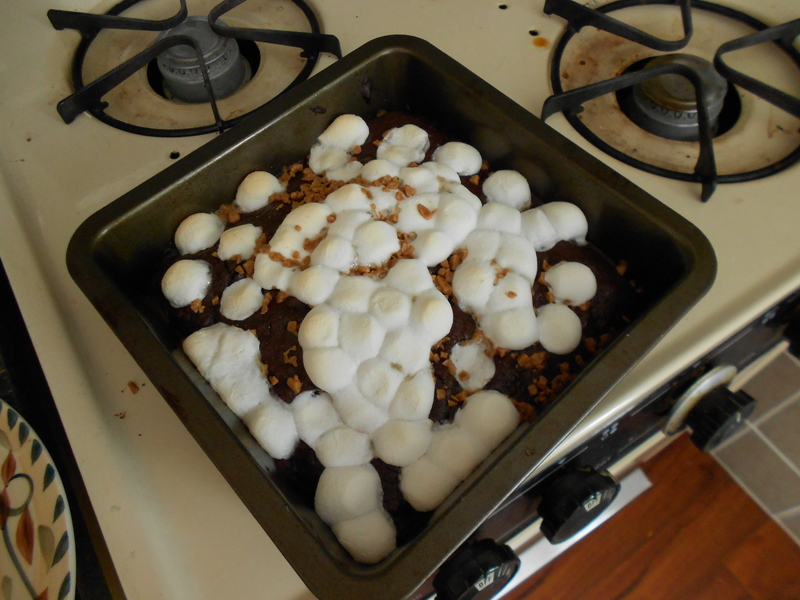 The marshmallows did not stay intact as I had hoped for, they instead melted and disappeared, leaving barely a trace. Now I know for next time: add in the marshmallows on top as well. Regardless: they are still delicious. 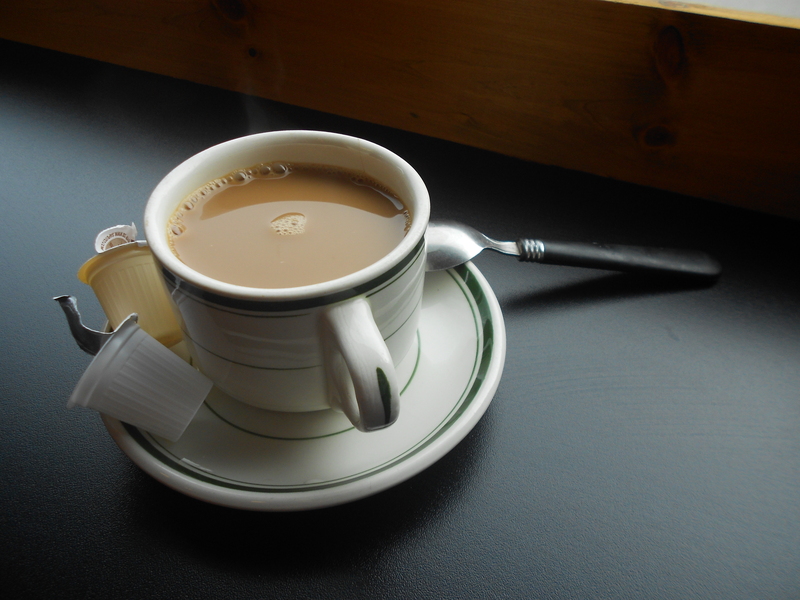 I usually look forward to waking up early to head out to a popular place, when there is the promise of brunch. Who doesn’t love brunch? Pancakes: good. Waffles: good. French toast: good. Regular toast: also good. Throw in a cup of coffee and I am set. Or not. We headed out north of Bloor (there is a first time for everything) to Bristol Yard, voted best new brunch of 2012. I was not sure what to expect. British cuisine plus a lack of an online menu to browse beforehand left me wondering. I was right to be worried. The worry faded as we got close and found a crowd of people standing around outside waiting to get in. It raised my hopes a bit. Then I saw the menu, which consisted of many, many versions of some form of bread (scone, toast, english muffin) and two (always two) poached eggs. The only item without two poached eggs was the french toast. I decided, rather quickly, on that. And then my dreams were smashed. No french toast. I was set with having just a cup of coffee, but then Brent said we should leave, so I settled and ordered his back-up choice… so that he would have the rest after I took a few bites. I was not looking forward to my Eggs St. George. 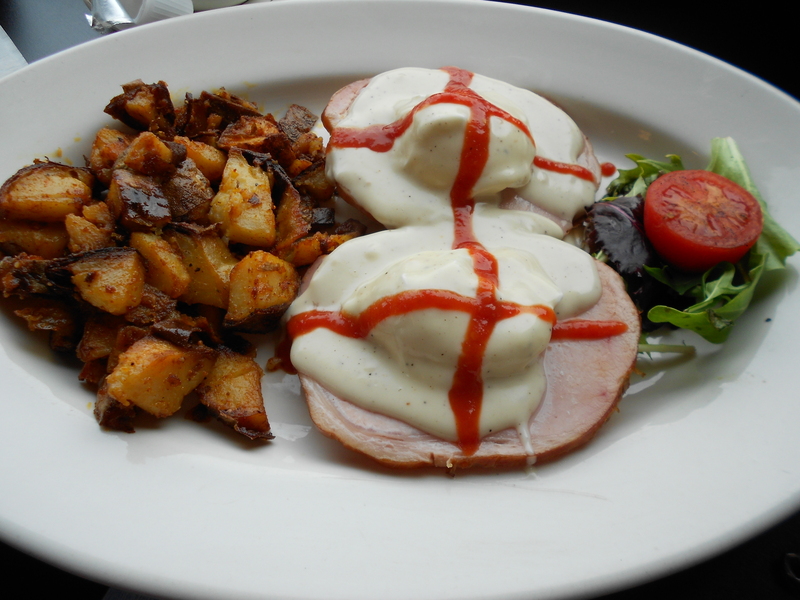 It was two poaced eggs atop ham atop an English muffin, smothered with sauce. Topped with hot sauce. It was gross. I had a few bites, they were ok… but no. I was not happy. Brent’s dish, The Glasgow, was no better. 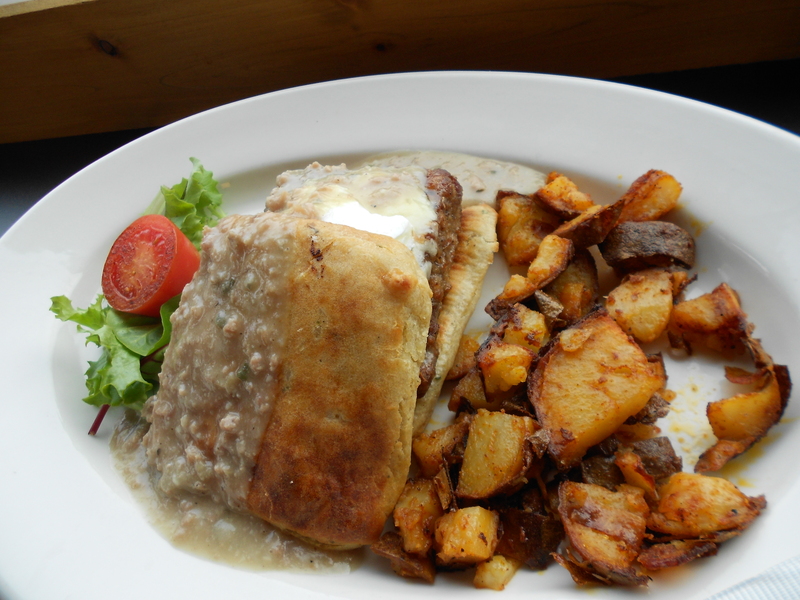 It was a giant chunk of beef with an egg on top, between two pieces of scone, covered in a grey slop of gravy. It was not pretty. No, scratch that. All it was was pretty. They only get points for presentation. And for coffee being included.